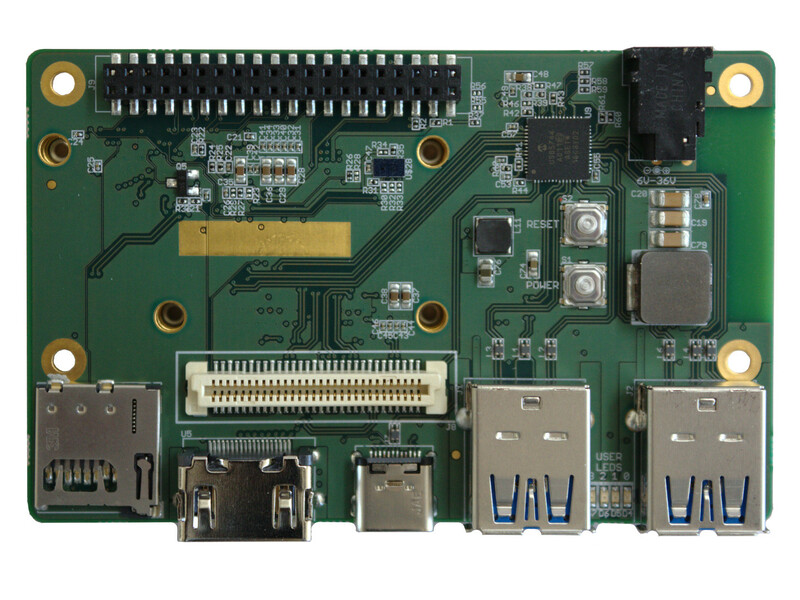 Gumstix Projects - Creations with Gumstix COMs, Custom Carrier Boards | Gumstix, Inc. Learn the endless possibilities when it comes to applying Gumstix’s COMs and Geppetto boards. Projects created both in-house and by customers. It’s a Nodana 96BCE robot! Every now and then, Gumstix customers and Geppetto users send us images or photos of the amazing and cool things they are doing with our boards. Take for example, Chris Barrett (@CBScript) who created this robot using our Nodana 96BCE board. Nodana 96BCE is our expansion board that brings Intel Joule® module™ to the fast-growing, open-specification 96Boards community. It is designed using Geppetto, our free online design-to-order tool. If you want to learn more about Nodana, read the post from our Gumstix Guru about it last January! This kind of messages from our customers make our day! If you have any cool projects you want to share with us, be sure to Contact Us either by email or through one of our social media accounts! Geppetto is our free online design tool that allows you to create a custom hardware design — no electrical engineering required from you. Moreover, we handle everything, from sourcing of parts to production, to ensuring that your board boots out of the box. We take care of production while you focus on your software or application. We will deliver your pre-tested, production-ready boards after 15 business days. Last quarter, we launched the first “Go Geppetto” contest looking for innovators to create a board design using Geppetto and the Intel Joule module. We announced our Grand Prize winner and 5 Get-to-Market winners last February 2017 and have been working with all the winners to finalize their designs. We are happy to share an update about the board we manufactured from the design of our Go Geppetto Grand Prize winner, Marco dal Pino. He shared on his social media pages that he has received his board and we are thrilled to support and help him move forward in innovating his product idea. Congratulations “GO Geppetto®” Intel® Joule™ Design Competition Winners! After months of competition, we are happy to announce the “GO Geppetto®” Intel® Joule™ Design Contest Winners! The Grand Prize Winner, receiving a free $1,999 Geppetto Manufacturing and 2 free boards of the winning See4Me design is Marco Del Pino! See4Me Joule Module is a wearable device to help vision impaired people to “see” what’s around using AI and Cognitive Services from Microsoft Azure. Our 5 Get-to-Market Winners each receive a $1,000 Geppetto Manufacturing Credit and 2 free boards of their winning designs with manufacturing credit is applied, in no particular order. Ready to build your own? Check out the Gumstix Intel Joule boards designed to kickstart your own device or start your design in Geppetto today! From November 2016 until second week of January 2017, Gumstix, in partnership with Intel, organized a Go Geppetto competition! We are pleased to share with you our Grand Prize Winner! He won $1,999 manufacturing fee and two boards. Inspiration behind the board: The possibility to use Artificial Intelligence to help person with physical disabilities and give them new chances in everyday life. Interested in getting your hands on a board for the Intel Joule Module? Visit our online store. Want to customize your own board just like how Marco did it? Meet and visit Geppetto today! From November 2016 until second week of January 2017, Gumstix, in partnership with Intel, organized a Go Geppetto competition! We are pleased to share with you one of the five winners of the Get To Market Prizes. Something about Ian: Ian is fascinated with the continuous miniaturization of the PC whilst still being capable of running a fully fledged OS. Want to customize your own board just like how Roman did it? Meet and visit Geppetto today!